More than 90 per cent of Borneo’s rainforest was stripped because of illegal lodging in Malaysia. A group of activists spent five years investigating who was behind the operations to produce The Borneo Case. By the end of the film, the audience was stunned into silence. 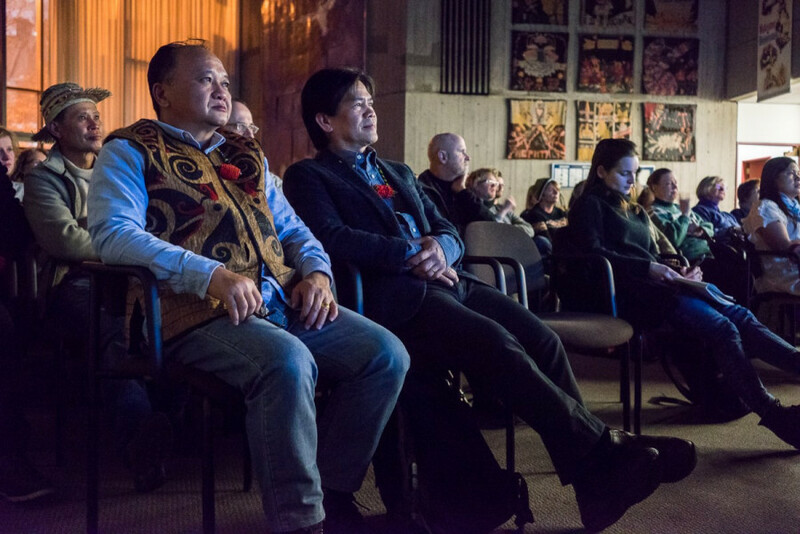 As part of The First Voices Week, the documentary was presented at the Concordia Centre for Broadcasting and Journalism Studies Jan. 31. The film left the audience appalled as it no doubt made its point. Indeed, if this documentary does not make you question Indigenous land rights and freedom of expression, then what will? The Borneo Case serves as a way to give a voice and visibility to Sarawak, a Malaysian state in Borneo. It presents more than 30 years of information suppressed by the Malaysian government and ongoing injustices on Indigenous land in Sarawak. Tahib Mahmud was chief minister for 33 years in Sarawak and developed the project of lodging. No one in Sarawak benefited from the industry. Eventually, Mahmud mysteriously became known as the richest man in Malaysia. The film focused on Mutang Urud, an exiled tribesman from Sarawak, and his team whose mission was to do research and find out where the money from the lodging industry went. They were able to establish a solid case with Tahib’s former US aide, Ross Boyert, who worked with the Tahib family for 12 years and managed Tahib’s properties in the US. Boyert was able to provide documents proving that Mahmud was laundering money in the US by buying real estate. Mahmud was accused of benefiting from the private profit of the lodging industry in Sarawak and for laundering $1.3 billion in different countries including Canada and the United States. Mahmud resigned from his position and a new chief minister was elected. Sarawak’s population was able to stop the construction of a third dam, but they are still waiting to see what actions will be taken for their land. 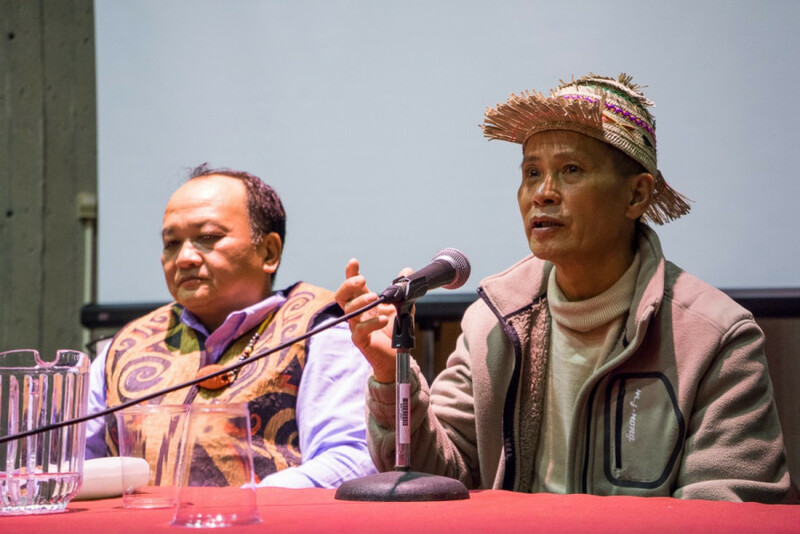 The Borneo Case was filmed intimately, allowing the viewer to follow the group of activists in adversity and success, from death threats to the resignation of Mahmud. Urud and his team are shown in different locations and periods of time showing the steps that they had to take to achieve their goal. Urud sought for the Urud sought for the UN’s help to investigate and intervene on the lodging industry, but nothing was done. “The UN is a weak body and does not have a lot of enforcing power,” he said at the Q&A following the film’s screening. 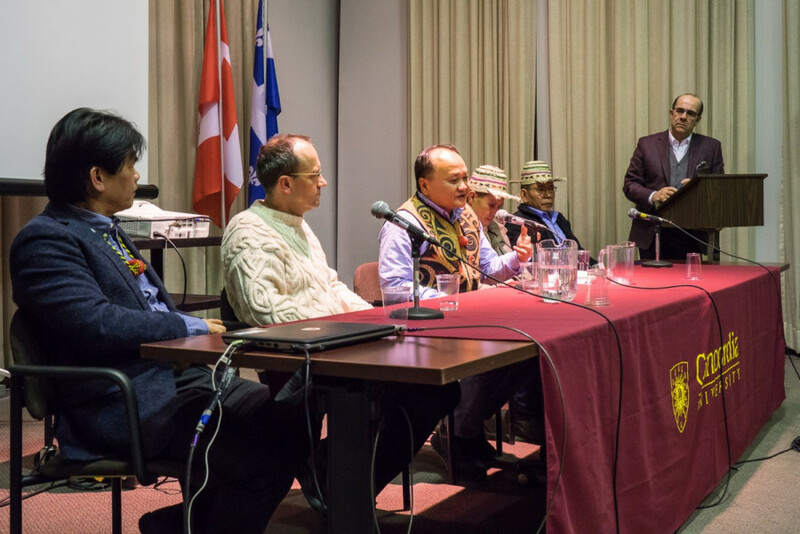 He has been implicated in this fight for more than 20 years and had to take shelter in Canada following his imprisonment and torture in the region of Borneo. The juxtaposition of the scenes when Urud is walking in his motherland and the scene of him camping in the backyard with his family in Canada show a clear contrast. Urud did not plan this life. He had to change his lifestyle by adapting to the Western environment and draw a line on his relation with Borneo’s nature. Visuals and wild sounds from the forest are used to establish the calm residing in Borneo’s forest. Footage and disturbing noises from lodging, palm oil exploitation, and dams are used to demonstrate how the industry disrupts people’s lives and ecosystems. The Borneo Case depicts a harsh reality. It shows resilience and true devotion from those who were willing to make the necessary sacrifices to preserve their land. “I believe that we are weak alone, but we are strong together,” said Straumann. Indigenous land rights in Malaysia are recognized, although their rights are unclear and very limited. Nothing was done to repair the damages caused to the rainforest in Borneo.